Our community was founded in 1965 as the sixth and last secular institute of the Schoenstatt Movement. Members of the community of the Pallottine Fathers, to which Father Kentenich belonged, fulfilled the role of the pars motrix et centralis, the inspiring and moving part of the movement, during the years before our founding. As priests we are ordained for and incardinated into the international community of the Schoenstatt Fathers, headquartered in Schoenstatt, Germany, with about 260 members worldwide. Here in the States we are presently seven priests. We call ourselves Schoenstatt Fathers in order to distinguish ourselves from the community of the Schoenstatt Diocesan Priests who remain in their respective dioceses. In Milwaukee, like in various other places here in the States, there are several priests who made the covenant of love with our Mother Thrice Admirable and consequently belong to the Diocesan Priests League. Our task, in cooperation with the Schoenstatt Sisters of Mary, is to offer inspiration and guidance primarily to the members of the Schoenstatt Family worldwide through retreats, workshops, counseling, etc. We do this here in the States nationwide as well as at our four national centers (Wisconsin, Minnesota, New York, and Texas) and in Puerto Rico. 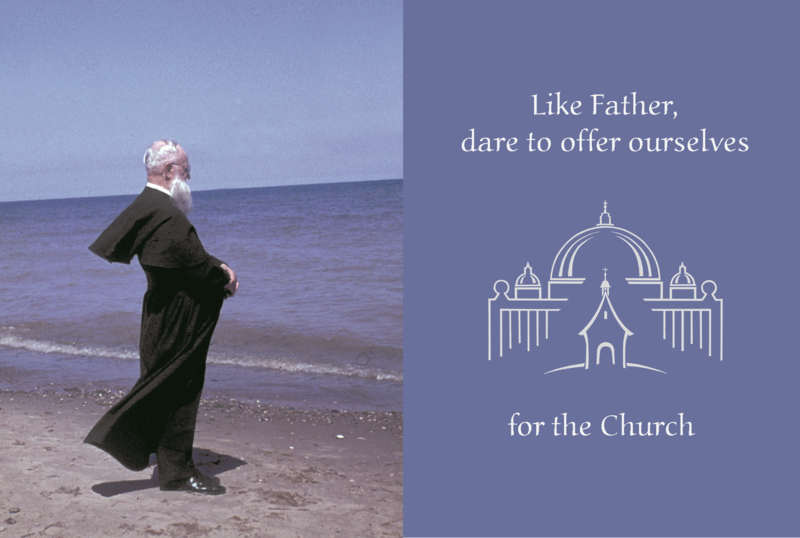 In Milwaukee we feel a special connection with the Pallottine Fathers and Brothers, since Father Kentenich lived here with his community for almost fourteen years. At this time we have two priests working in Campus Ministry and with the Schoenstatt Boys Youth in groups of various ages in about seven different states. More than 200 boys participate at present in our summer camps and in other activities. One of the Fathers also works with the German speaking community, the Donauschwaben, here in Milwaukee and in the Chicago area.